This is the time of year when people decide to re-engage themselves in their own health and well-being. New diets are introduced, workout routines are started with vigor. Unfortunately, much of the excitement of starting a new "lifestyle" fades into the background of the daily hustle. Many people begin their new "lifestyle" changes with every intention of seeing them through only to find themselves slowly sabatoging their own goals by allowing other "priorities" to take the place of their new "lifestyle" routine. Self-discipline is the term often used to describe the ability of a person to stick with a goal or create a habit. How do people remain discipline in their new "lifestyle" changes? Three key principles help foster self-displine: Determination, Patience, and Consistency. Determination can be defined as "firmness of purpose." When deciding to act on changes in lifestyle the decision needs to be firm, resolute, clear, without wavering question. Entering into the process determined to see it through is an enormous first step. No one can go into a lifestyle change at %50 and expect to succeed. Once the goal has been determined attack it at %100 of your effort and feeling. While determination is a great way to start, when things get hard, we question ourselves. Having patience allows us to absorb a setback and keep going; in essence, maintaining our determination. It's important to understand, situations will not always go according to plan. Having the mindset to make adjustments to our plans when undesirable circumstances arise is one way to stay on task. Maintain a "plan b." When chopping wood, the wood chopper must approach the wood, 1 chop at a time. Same with remaining self-disciplined. We must approach our goals one day at a time and trust the process. When planning to accomplish your goals and make new "lifestyle" changes, you set out a plan. That plan should be efficient, result oriented, and taken seriously. If the plan was created with that in mind, then staying on the plan consistently should be enough to take you where you need to go. Switching from plan to plan, or diet to diet is a sure way to see no results or even go backwards. 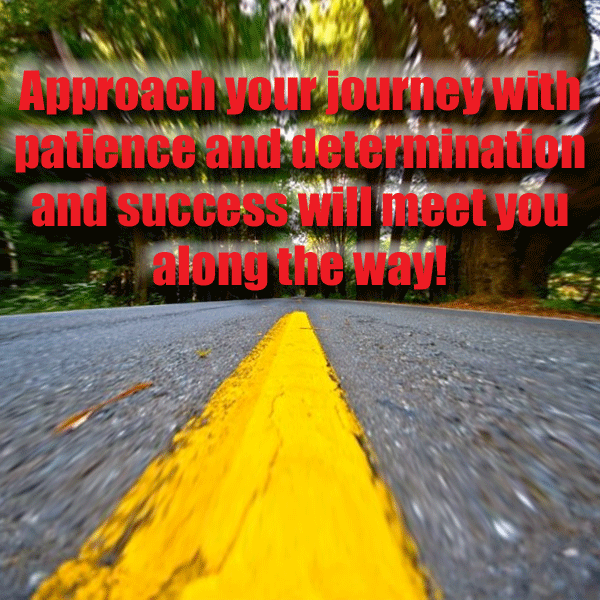 As you pursue your new lifestyle, remember to go in with determination, have patience and remain consistent!